Leo now has his second border finished and stitched in place. WOOHOO!! Time to move onto the third. 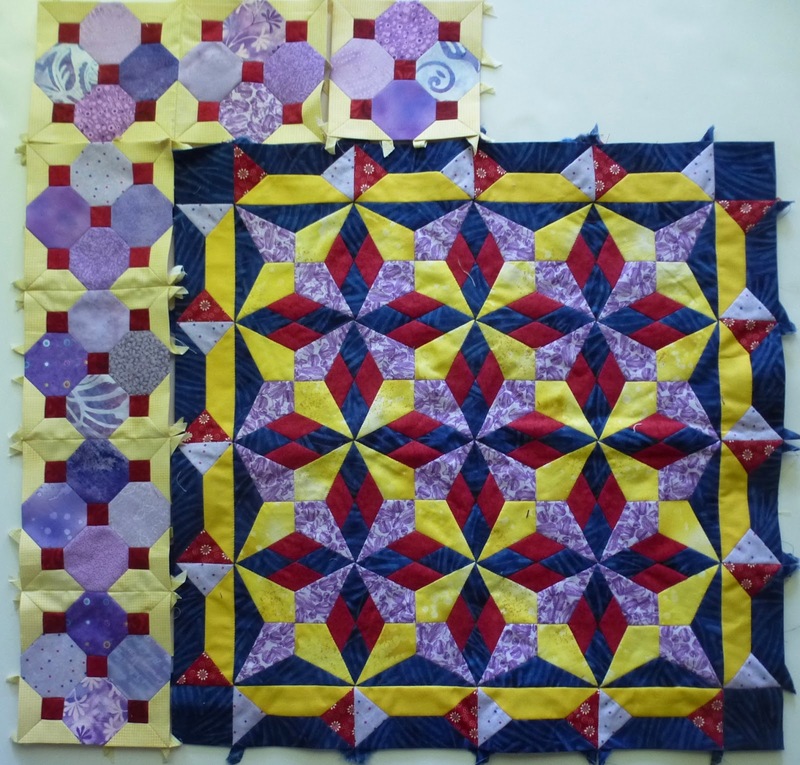 If you want to join in a sew along for this quilt, email me at eagleswingsquilts@icloud.com. I’ll send you out the introduction information. The first email of the papers pdf goes out on September 1st, for those who with to cut their own papers. The first instructions for actual sewing will go out September 15th. This is a quick keep everything up to date post. 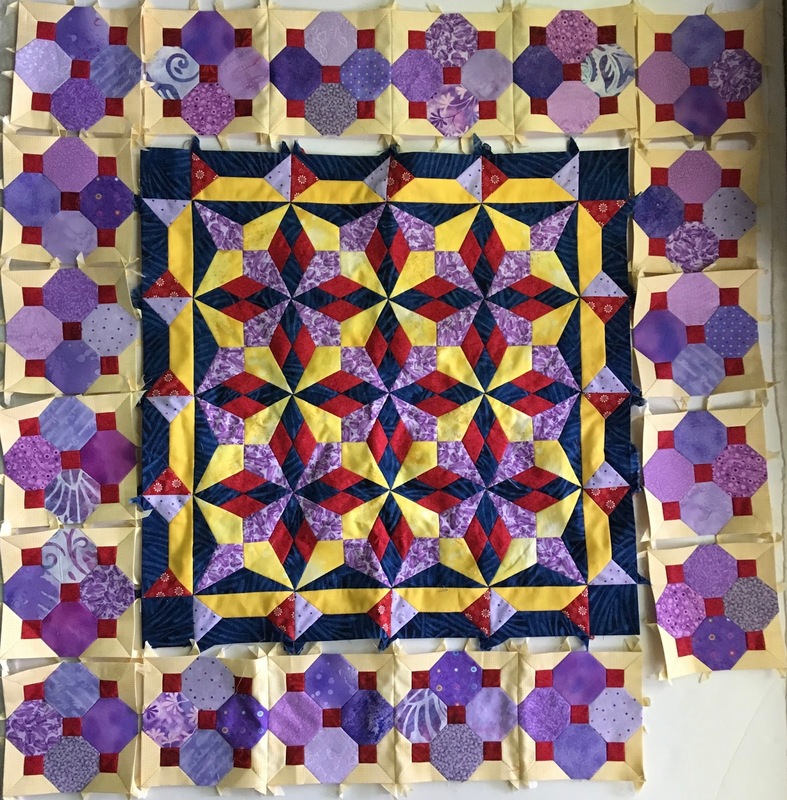 It’s late in the day, so I’ll link up to Lorna’s Let’s Bee Social, the Canadian Needle and Thread Network and also to Esther’s WOW on Wednesday. I’ve made great progress this week. 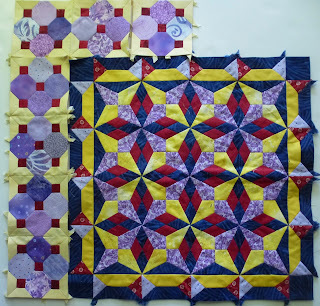 All of the blocks for the second border are done, except one, which I can finish today. 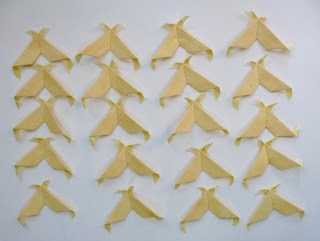 Then I can start sewing them together and get them attached to the main body. 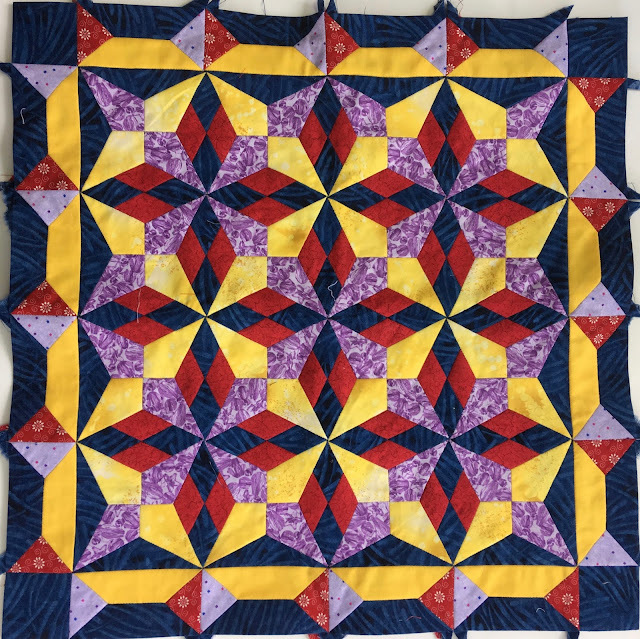 It is so exciting to see something that only existed in the Electric Quilt software come to life. I’ll probably do a little re-arranging of the blocks in the border to get a more even distribution of the purples before sewing it together. I’m looking forward to starting on the next set of blocks. As always, if you are interested in sewing along on this project, leave me a comment here, making sure your email is visible, or email me at eagleswingsquilts@icloud.com. Martina M., if you are reading this, I got your comment that you want to join us, but your comment came up as a no-reply blogger. I’ve left a comment on your blog asking for your email address, or you can leave a comment here, with your email in it. I’m linking up to Kathy’s Slow Sunday Stitching and then it’s back to more stitching. It went a little slower this past week, and especially on the weekend. Our son in law Matt went to participate in a Half Mudder obstacle course endurance thing this past weekend, and Our daughter Becca went along to watch and cheer him on. We stayed home with their little Abbie.We had lots of fun playing with that darling little girl, but, as usual, it was exhausting. She is a non stop bundle of energy, bouncing from one activity to another. The only thing I have found that keeps her happily occupied is a small wading pool full of water and a bunch of containers. She played at that for at least an hour or more yesterday afternoon. In the meantime, back to Leo’ s Mane. 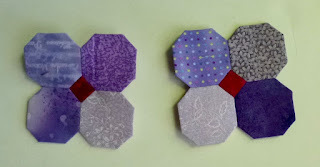 I got some octagons sewn into pairs. 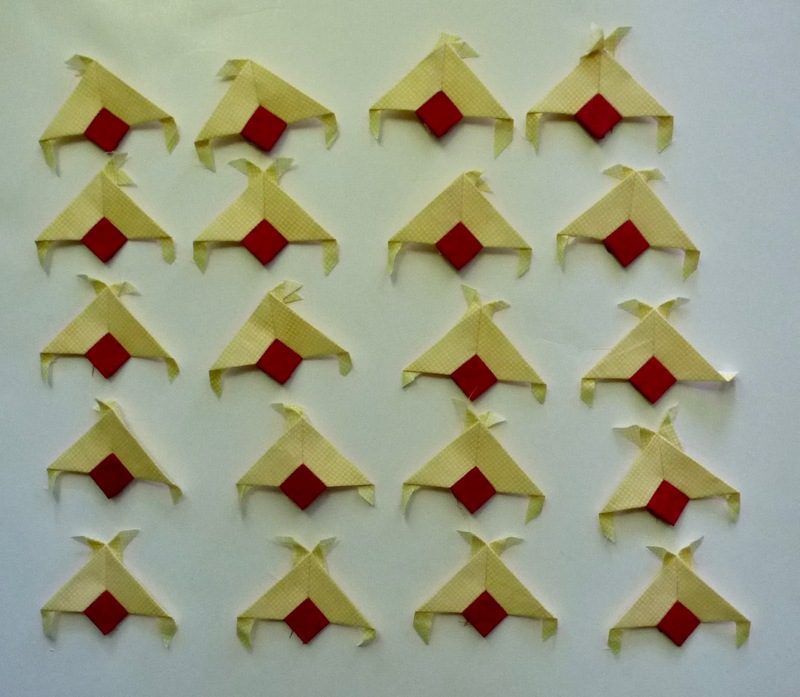 Then half of the pairs got a red square sewn to them. And then pairs without red squares got sewn to those with red squares. All that’s left now its to sew the corner units on to about ten of the finished four octagons, and this step will be almost done. 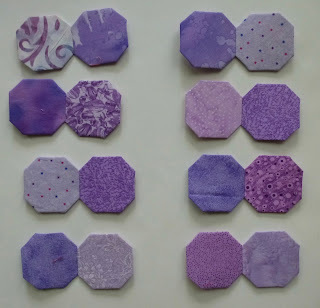 This post is a sneak peak for future sew along steps. Leo’s Mane is the result of a fascination with the kite shape and the stars they form. 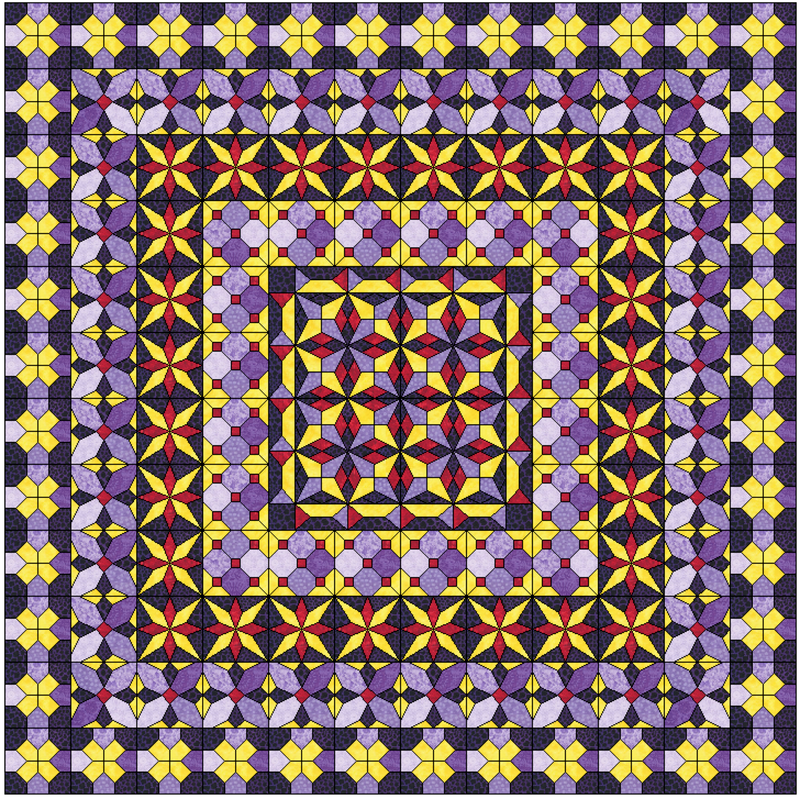 It is the third in a series of quilts made from this shape. I’ve named them after various constellations and stars. In this design the shape the diamonds make around the kite stars reminded me of a lion’s mane, therefore “Leo’s Mane”, after the Leo constellation. It started off as a simple wall hanging with only the centre section. But after looking at it for some time, it didn’t quite seem finished. 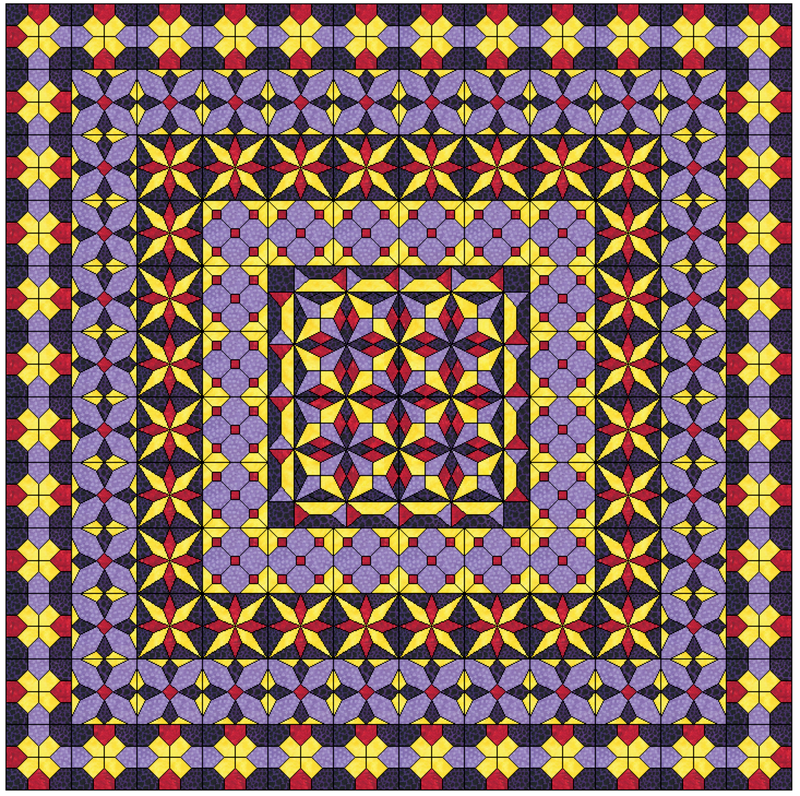 So I spent an evening playing in the Electric Quilt 7 computer program and it grew and grew and grew. 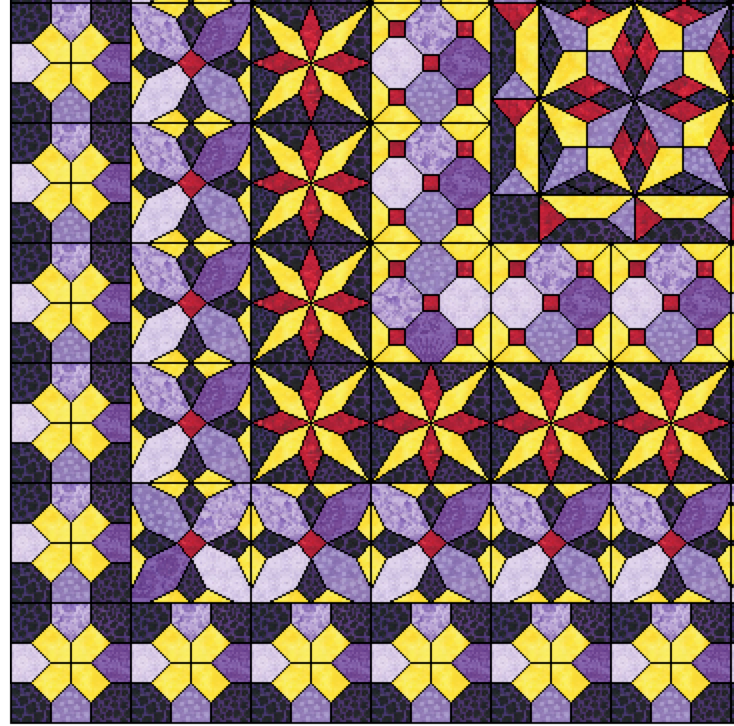 There were several block changes made because the original choices did not work well for the size of the blocks or for the English Paper Piecing technique. 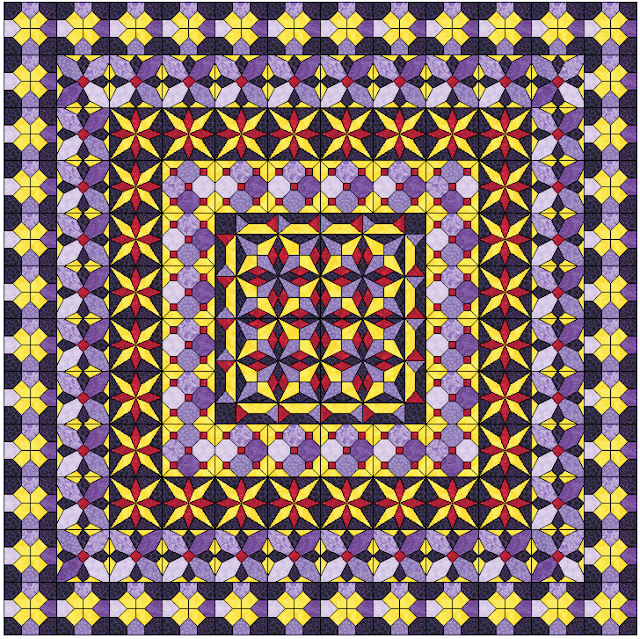 Pictured below is the final rendition of the quilt we will be making. I can’t show you a picture of the actual finished quilt because mine isn’t finished. I’ll be sewing along with everyone else, although I’ll be a few steps ahead. Starting September 15th I will send out an email to those who have signed up and also post here on the blog instructions for the section to be worked on. We will start in the centre of the quilt and work out from there. On the 15th of September I will email to those who have signed up printable pdf pages of the shapes needed to make the centre section, for those who wish to cut their own papers. The papers will be available for purchase from my web site, should you wish to purchase them already cut. Go here to purchase. Also, issued on September 15th will be the instructions for the first element of the design. After that, the instructions will go out on the 1st and 15th of each month. Each section of the quilt will be broken down into 3 or 4 separate steps. You can follow the steps as given, or sew them together however you prefer. 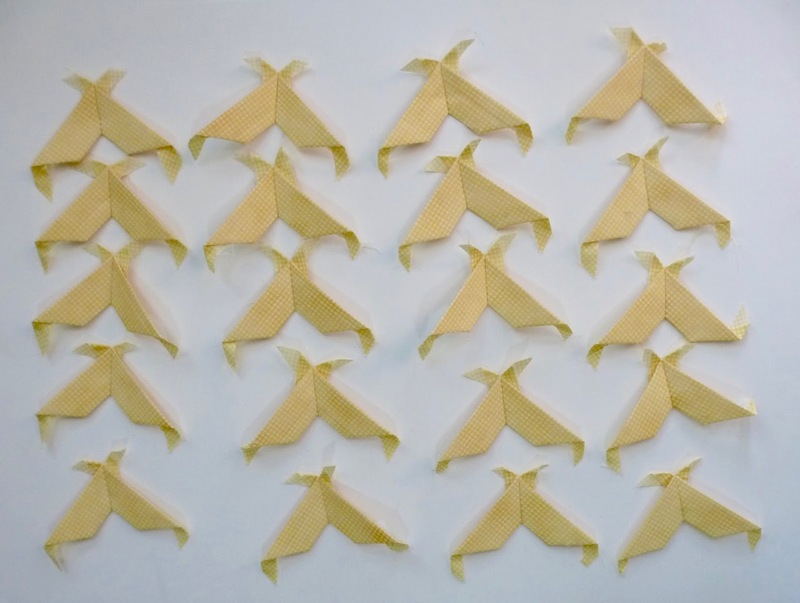 I will not be giving actual instructions on how to do the English Paper Piecing technique. There are many excellent you tube videos that show it much better than I can. A couple to check out are Sue Daley and Hillbilly Quilt Shop; both of these have multiple videos showing the techniques required. I will however, share tips if I come across something while making my own quilt that I think will be helpful to you as you sew along. Please feel free to email me any questions you may have and I’ll do my best to answer them. Once again, I’m working on Leo’s Mane. This is definitely going to be my main Slow Sunday and the rest of the week, as well, hand stitching project for many months to come. I’m making good progress through the second border. All of the corner units are done. I’m well on my way to having all the red squares sewn into the corner units. 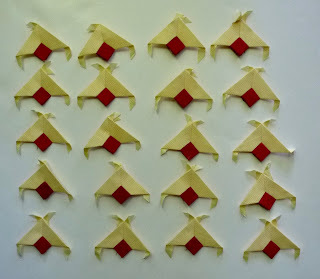 Some of the octagon circles are sewn into their units. Some of those have the corner sections sewn on. 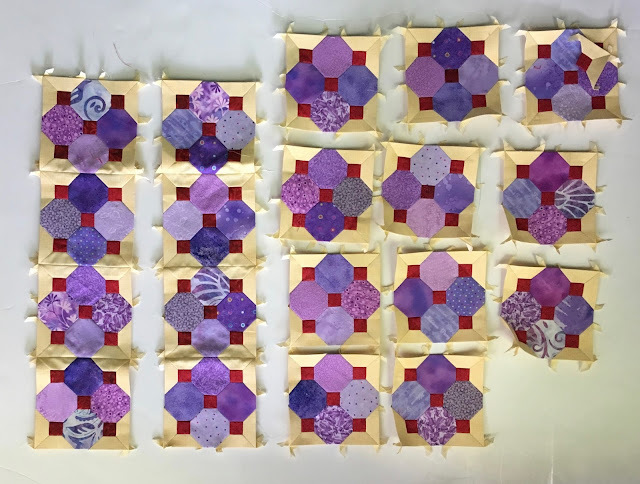 And seven of the blocks are completed and ready to be sewn into rows to go onto the quilt. This is most definitely a long term project, but I’m hopeful that the next few weeks will see this border finished. My Slow Sunday Stitching continues to be occupied by preparing for the coming sew along. I now have all the blocks for Leo’s Mane tested. I had to change out one of them, due to a construction issue. So, I have a final layout decision made. Here is the centre..... you’ve seen it quite a few times before. 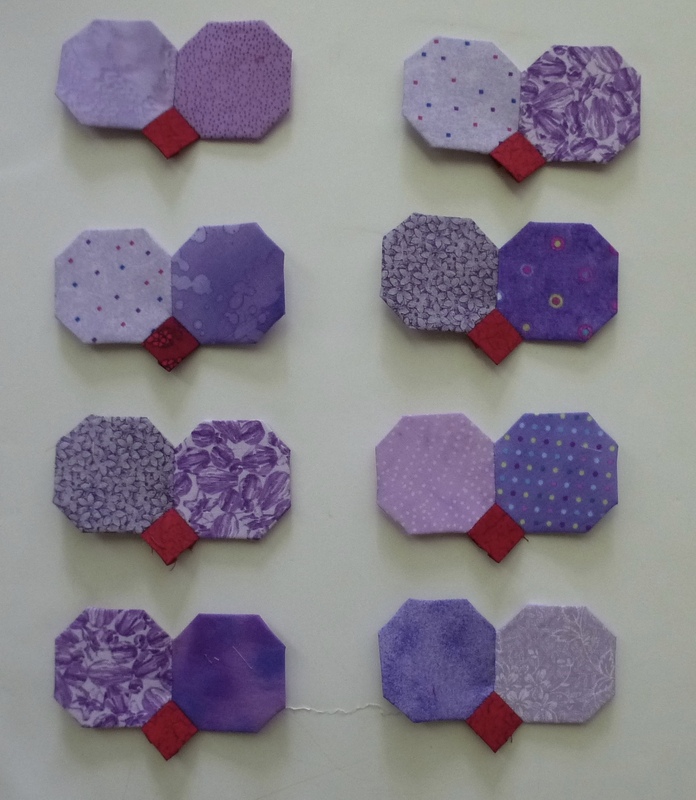 Here are the border blocks. Here is the final Electric quilt rendition of the quilt. I may need to play with my colours a bit. It’s currently looking maybe a bit too purple. In the last border block, I may switch out a couple of the purple shapes for some red. But in the meantime, this is the final layout. You can choose your own colours. This will finish at 60 inches square. 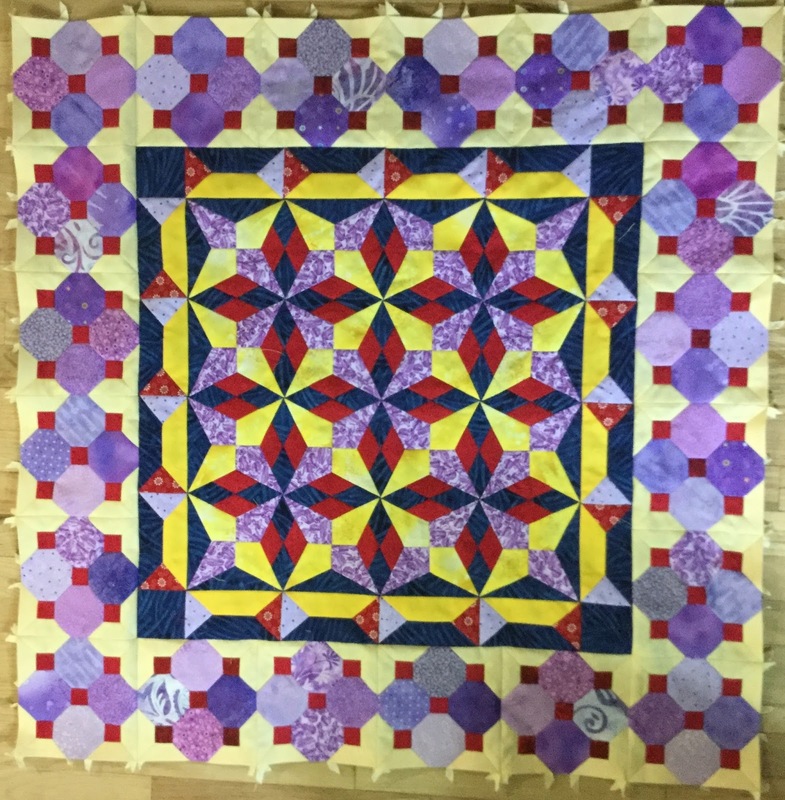 It is all English Paper Pieced. And finally. a close up of a quarter of the quilt. The fabric allowance instructions, and introductory explanations will go out on August 15th. I’ll include a line drawing for colouring for helping to choose your colours. If anyone is interested in joining, this will be a free sew along. With the instructions for each section, I will also include pdf pages for you to print in order to cut your own papers. 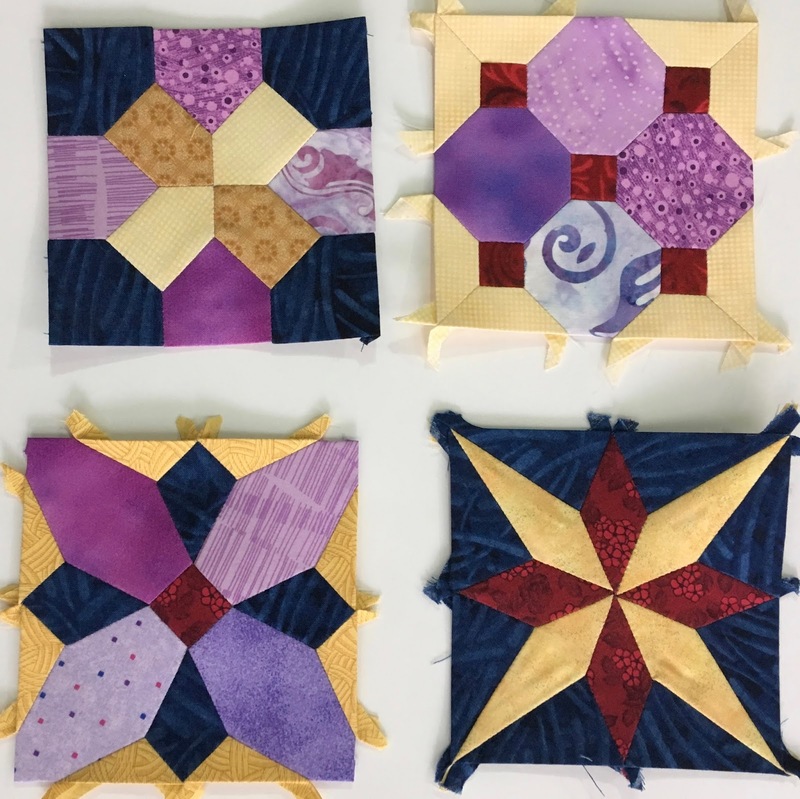 These papers will be provided free only to those who sign up for the sew along. Of course, you can purchase the papers in our store, if you’re not into cutting your own. They will be listed there by the 15th. Sign ups will be taken at eagleswingsquilts@icloud.com, or leave a comment here on the blog. Just make sure I can get in touch with you. 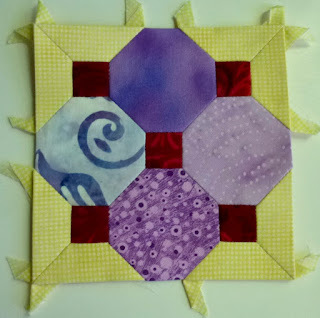 I’m linking up to Kathy’s Slow Sunday Stitching and to Design Wall Monday.